This Cincinnati family has 4 members with Ehlers-Danlos. Their strong faith gives them courage to persevere. They believe their childrens’ challenges have helped them to grow and become better people. Amy Schulze and her daughter, Elizabeth, lead 2 support groups for EDSers. By Sue Kiesewetter, Enquirer contributor. FAIRFIELD TWP. – Seventeen-year-old Elizabeth “Wizzy” Schulze used to think being tired all the time was normal. And that everyone’s fingers and toes popped out of their sockets frequently. Passing out spontaneously for no obvious reason was just part of her normal life. Now, the Fairfield Senior High School junior knows those things aren’t normal – they are part of a multi-faceted, genetic disorder known as Ehlers-Danlos Syndrome, or EDS. Seven years ago Schulze, her mother, sister and brother were all diagnosed with EDS. The rare disorder is marked by a defect in connective tissues which provide support to skin, muscles, ligaments and other parts of the body. With six major types of EDS, it affects each person differently and is difficult to diagnose, and often misdiagnosed, said John Ferman, a Mason resident and founder of the National EDS Awareness program. 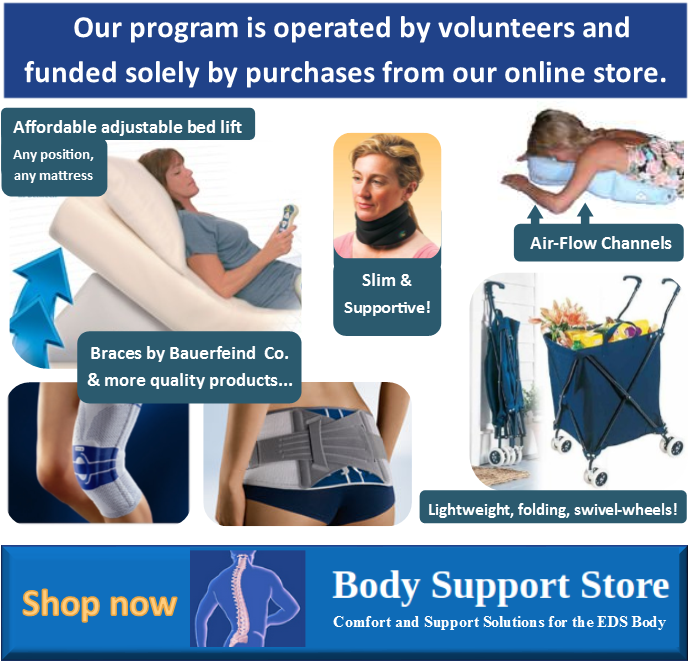 Those with EDS either can’t generate enough collagen – a protein in the body that keeps joints in place – or have faulty collagen, Ferman said. “People are managing the best they can. The challenge is there’s no pill or cure you can take. 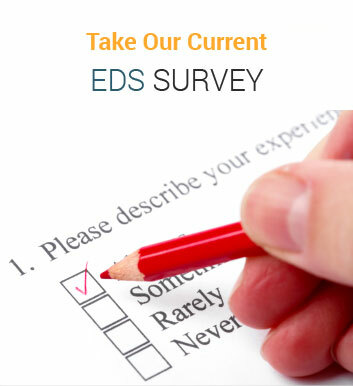 There is very little research on EDS being done,” Ferman said. Once the diagnosis was made, Schulze said she better understood why she is plagued with arthritis-like symptoms, has multiple injuries and why she dislocated both shoulders along with a hip after tripping while playing outside several years ago. “I had thought everybody is like this. It was more of a mental shift for me – putting a name to it, realizing this isn’t normal. You keep it in the back of your mind,” Schulze said. That year a hip injury put Schulze on bed rest for almost five years, keeping her out of the classroom until her sophomore year in high school. Just before Christmas last year, she dislocated her hip while sitting in a chair and is again on bed rest. She hopes to return to school for her senior year. During those years on bedrest, Schulze and her friend Kylie Powell developed their own make-believe world Fallea, full of magic. Fifteen months ago their book about that world, Cursed Ones, was picked up by Westbow Press, a Christian, self-publishing division of Thomas Nelson & Zondervan. The duo are editing a second book in the series and waiting to hear about a third. Schulze also leads a teen EDS support group that meets monthly at Vineyard Community Church. Her mother, Amy, runs an adult group. “It’s like a hangout. Being around people who understand,” Schulze said. For Amy Schulze, EDS manifests itself through issues with tendons, her shoulders, migraine headaches and generalized pain. She’s had four neck surgeries. “To look at any of us you would not know anything was going on. But it affects every single cell, every single organ, in every single system,’’ Amy Schulze said. Her family gets support from one another, particularly her husband, Chuck, who doesn’t have EDS, Amy Schulze said. It is not unusual to schedule 300 doctor appointments a year for Schulze, her mother and her siblings. Through it all, she and her family keep a sense of humor and a strong belief in God. Where: Beckett Park, 8545 Beckett Road, in West Chester Township. Registration opens at 6 p.m. Participants are invited to walk through the park. Shirts will be available to buy with proceeds going to support EDS awareness educational programs. Please join us for the EDS – Chiari walks to support those struggling with EDS and their caregivers. Click here for more information about the walks. 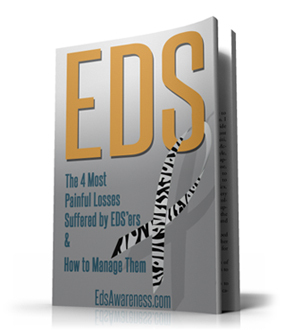 EDSawareness.com also offers “FREE Educational Webinar Sessions on EDS” twice/month!